Adams Oshiomhole is a former two-term Governor of Edo State in Nigeria. He served under the umbrella of the All Progressive Congress (APC) having taken office with the defunct Action Congress (AC) in 2007. Before stepping into politics, Oshiomole was the leader/president of the Nigerian Labour Congress (NLC) where he gained huge popularity. Oshiomhole was born Adams Aliyu Oshiomhole on April 4, 1952, in Itamoh, a small community near Auchi in Edo State. He grew up in a Muslim family but has since converted to Christianity, thanks to his late wife Clara. After his secondary education, Oshiomhole’s career kicked off, as he got a job with the Arewa Textiles Company where he was elected Union Secretary. From his desk at the design section of the industry, a young Oshiomhole observed huge cases of criminality perpetrated by the management. Workers were paid very poorly, the disciplinary regime was brutal, authoritarian and unsparing, leaving no room for a fair hearing. Also, union leaders at the time were very ineffective, weak and timid. This gave rise to his unquenchable desire for good leadership as the workers did not get value for their membership of the union. In the year 1971, a spontaneous uprising earned him an opportunity to prove himself as a union leader, and in 1975, he became a full-time trade union organizer. To further his education, Adams Oshiomhole traveled to the United Kingdom where he majored in economics and industrial relations at Ruskin College, Oxford. At the end of the demanding and rigorous multi-disciplinary programme at Ruskin College, Adams emerged as the Best Foreign Student. Higher education equipped him with enhanced theoretical and intellectual acumen. He went on to attend the National Institute for Policy and Strategic Studies, kuru, and the Kennedy School of Government of the Howard University. In 1982, he was appointed the General Secretary/Chief Executive of the National Union of Textile and Garment Workers of Nigeria. It was obvious that a genius was on board. The capacities that he brought on board, gave the union a remarkable facelift. Under his leadership, the union was well managed and eventually acquired investments in real estate and generated a cash reserve that is more than what many state governments can boast of. It was only a matter of time before he became a major player in the politics of the NLC. He was first elected deputy president of the NLC in 1988. In 1995, the NLC was dissolved by the then military government but was revived back after democracy was restored in 1999. This time around, Adams Oshiomhole became president of the newly revived NLC on January 28, 1999. He is known for his very many significant contributions as the Labour leader. He negotiated a 25% wage increase for public sector workers in the early administration of the then President of Nigeria Olusegun Obasanjo. He most famously led a nationwide strike against high oil prices in Nigeria. He had fought for the reversal of pump price increases introduced by President Obasanjo leading to strikes and demonstrations against the increases. He was persecuted for his relentless moves against the then government concerning the fuel crisis. It had been alleged in October 2009 that the Labour leader was forcefully abducted by State Security Services during a protest, but the Nigerian government had said he submitted to voluntary custody. Adams Oshiomhole is known for his outstanding role in bringing about a culture of radical and critical citizenship, where leaders can be questioned by their followers. This led to him being driven into politics as he contested for Edo State Governor in 2007. He contested for the gubernatorial elections but was said to have lost the election initially to the People’s Democratic Party’s (PDP) candidate, Oserheimen Osunbor. Oshiomhole and his party, AC, however, did not subscribe to the election results on the grounds that it was rigged. On 20 March 2008, an Edo State election tribunal nullified the election of Oserheimen Osunbor and declared Oshiomhole the winner. This led to his assumption as the governor On 11th November 2008, when a federal Appeal Court sitting in Benin City upheld the ruling of the state’s elections petitions tribunal. He won a second term in 2012. Adams Oshiomhole was first married to late Clara Oshiomhole who died of breast cancer in 2010 at the age 54. The couple has five children together. 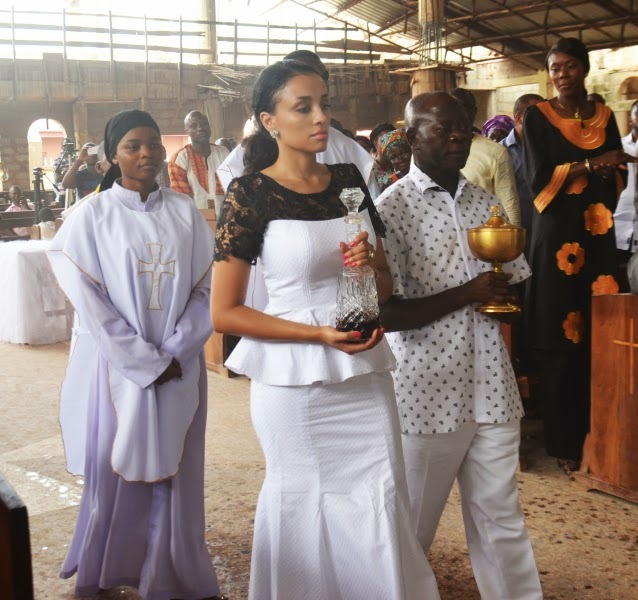 Five years after her death, Oshiomole tied the knot with Lara Fortes, a Cape Verdian model on May 15, 2015. The marriage became a source of many controversies and was famously tagged ‘Beauty and the Beast’. It is unclear what exactly Adams Oshiomhole’s net worth is. But with him having held various positions in and outside the country, as well as having been state governor for two terms, his net worth can be estimated to be in billions of naira. He most notably owns a number of luxury properties which reportedly include a private jet and a yacht.